Despite its energy efficiency, performance is not compromised. 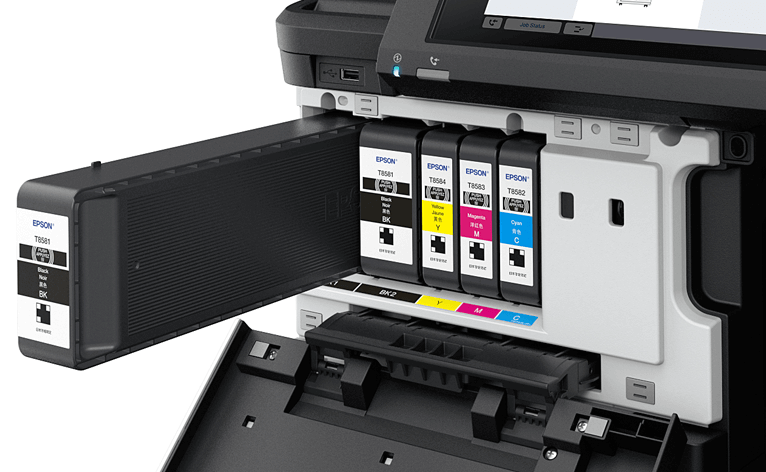 The inkjet linehead that delivers very high speeds and print quality is designed around scalable technology that Epson first used in industrial systems, such as large-scale label presses. The remarkable new linehead design, measuring just 43mm wide and containing approximately 33,500 nozzles, offers outstanding misfire detection technology to reduce banding. With 33,500 nozzles, ensuring consistent print quality is far from straightforward. Epson’s Nozzle Verification technology, which uses piezo-crystal elements, helps to automatically detect and correct without interruption. Unlike heat-based systems that come with material limitations, Epson’s PrecisionCore technology allows for more colourful and durable ink formulations on a wide range of substrates. 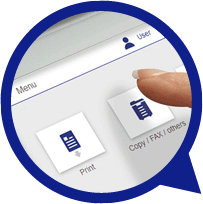 With a 5,350-sheet max paper input with optional 3,000 sheet high capacity tray, a 4,000-sheet finisher unit with stapling, and no warm-up time required, you can run jobs without interruption. Prints are ready the moment you get to the printer – helping to maintain optimum productivity when you need it most. There really is no compromise. 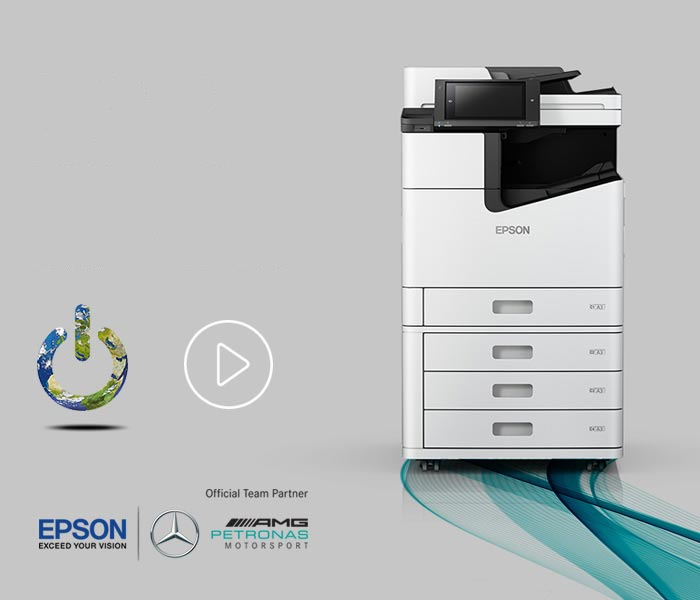 Thanks to Epson’s PrecisionCore linehead inkjet technology, liquid inks and efficient paper transport mechanism, you’re getting a reliable and fast multi-function printer that increases productivity overall without sacrificing quality. 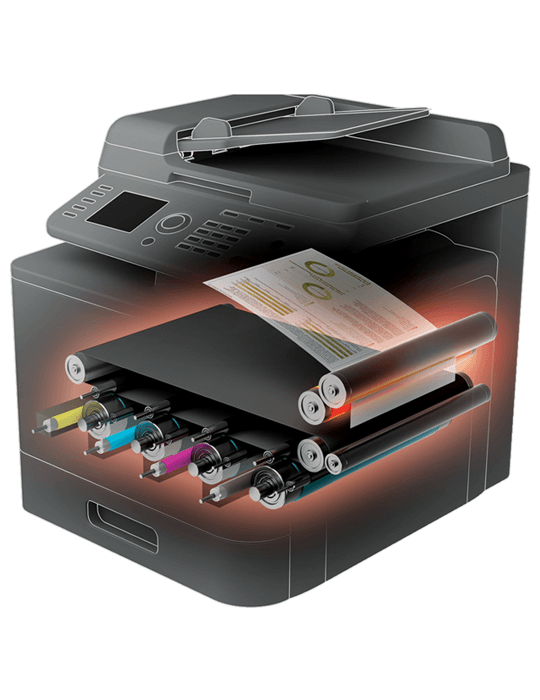 Easily manage and control an entire fleet of printers and scanners remotely. 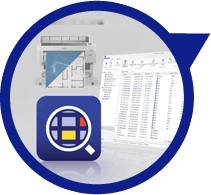 Epson’s software and imaging technology saves time by cutting out steps and allowing you to scan to your existing workflow processes. Give users the maximum level of productivity while promoting cost-reduction and environmentally-responsible behaviour. 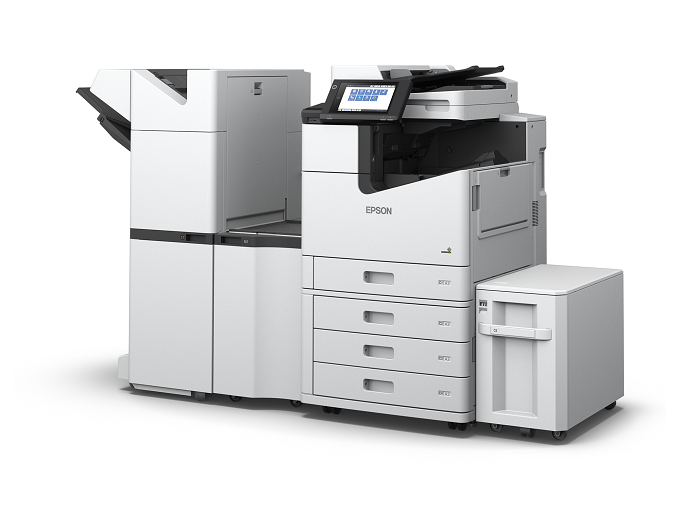 Epson multi-function printers (MFPs) fully flexible and customisable. 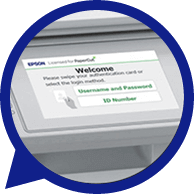 Building on the success of partnering with PaperCut, Epson is recruiting for its ISV partner programme, teaming the best of Epson hardware with added-value software. 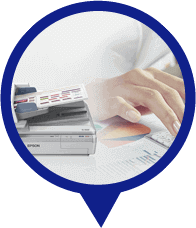 expenses with Epson Print Performance. 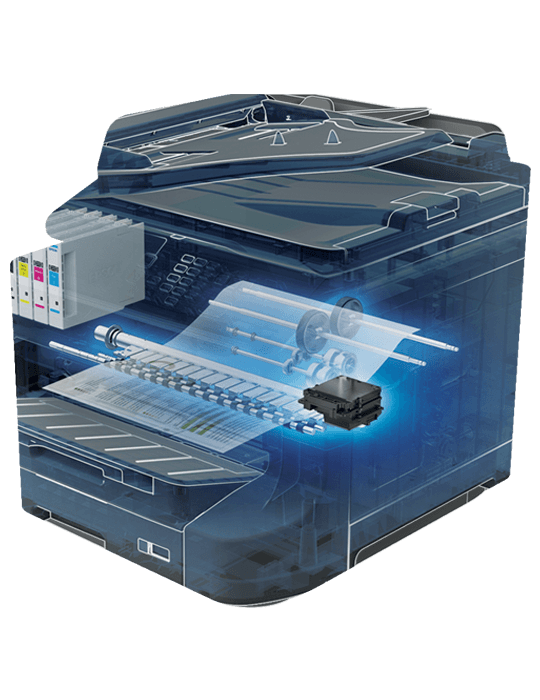 When you make the switch from laser printing to inkjet, you are not only choosing lower energy consumption, lower waste and reduced cost of ownership. 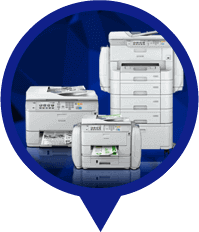 You are also choosing a faster, high-quality and high-performance printer with multiple bottom-line benefits for your business2. If every business in Europe made the switch to Epson Business Inket printers it would save enough power to run at least 507,000 households. If every business in Europe switched to Epson Business Inkjet printers there would be a waste saving of at least 221,000 tonnes. 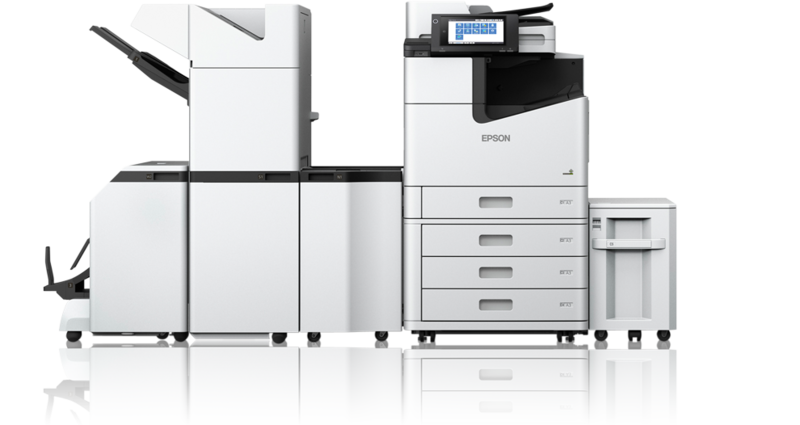 If every business in Europe switched to Epson Business Inkjet printers, the reduction in CO2 would be equivalent to the volume absorbed by at least 26.9 million trees. For more information on the WorkForce Enterprises, simply fill in your details below and an Epson representative will be in touch.